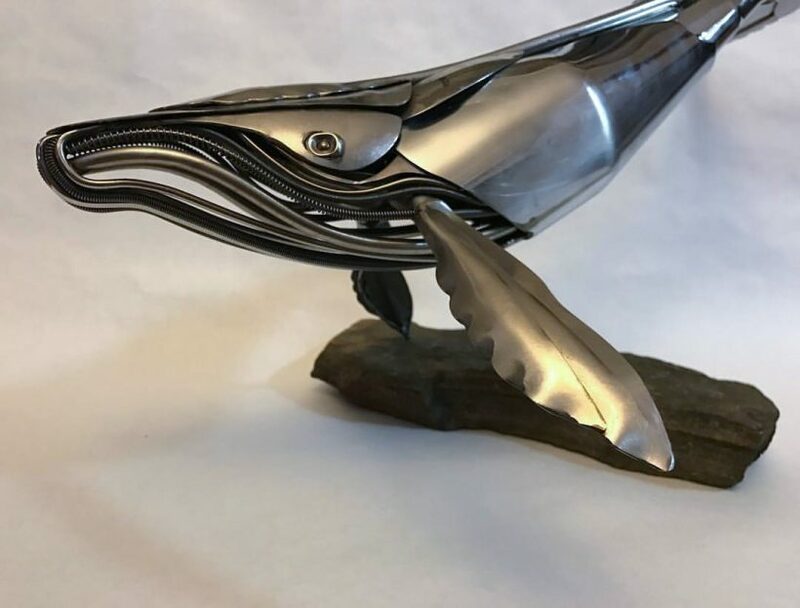 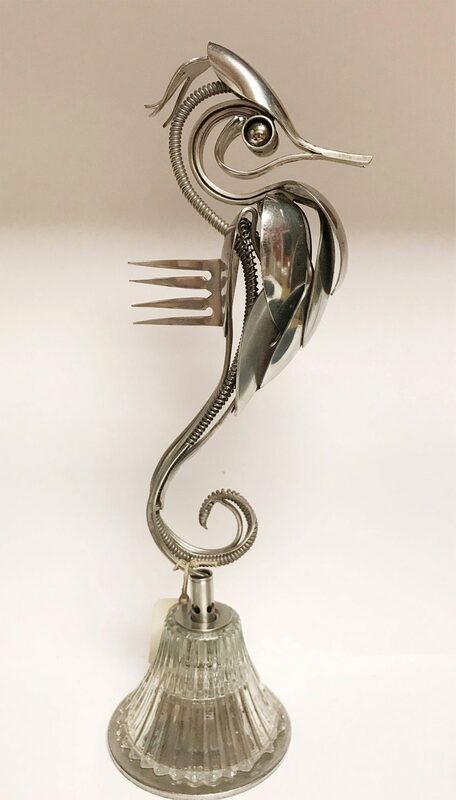 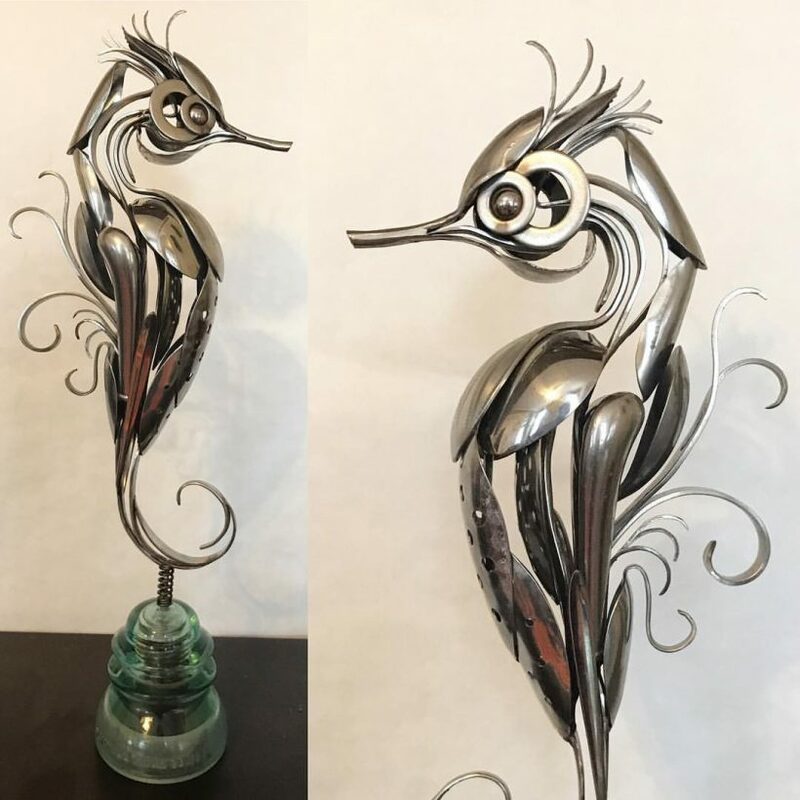 Matt Wilson, a talented artist from South-Carolina (aka Airtight Artwork), uses old silverware by bending and welding to create animal sculptures. 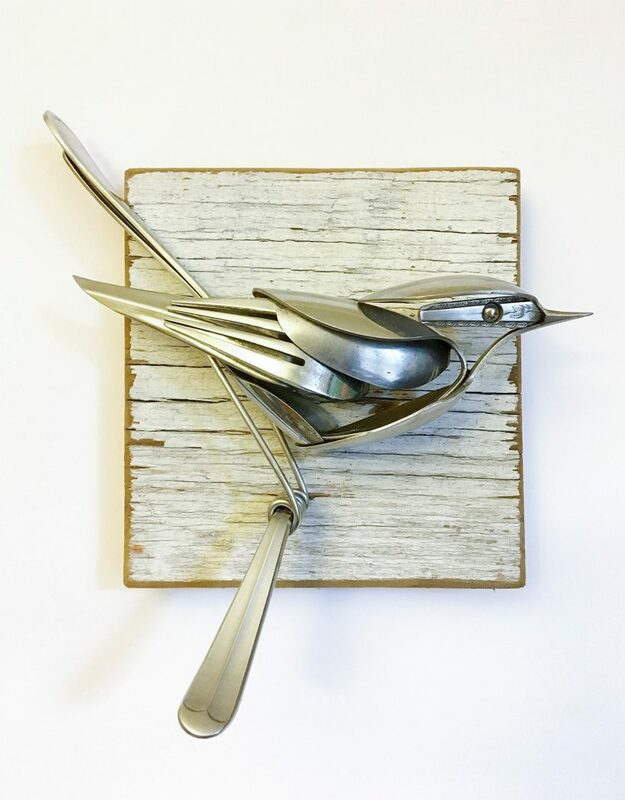 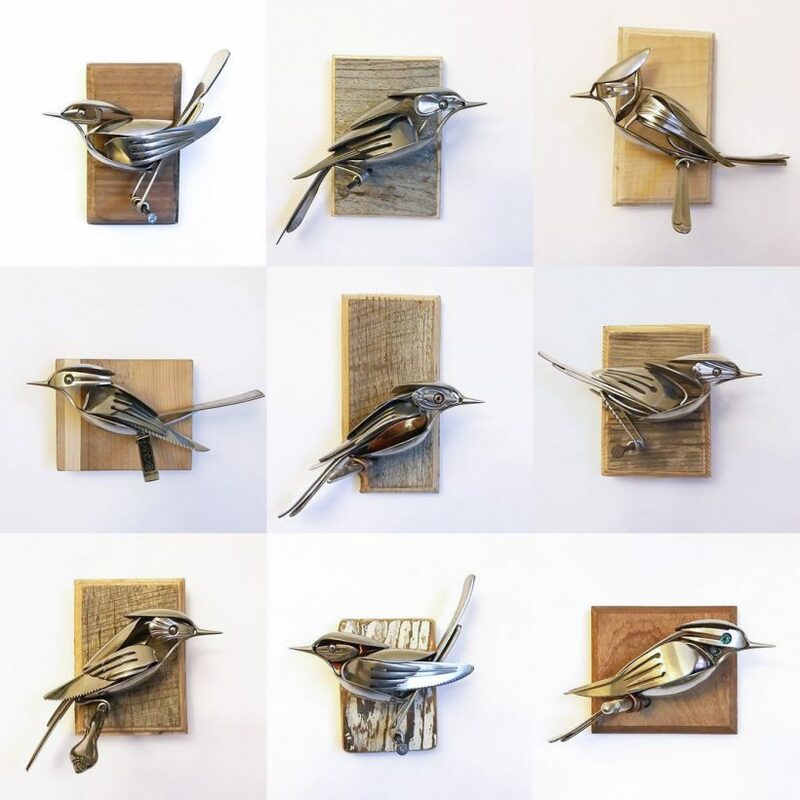 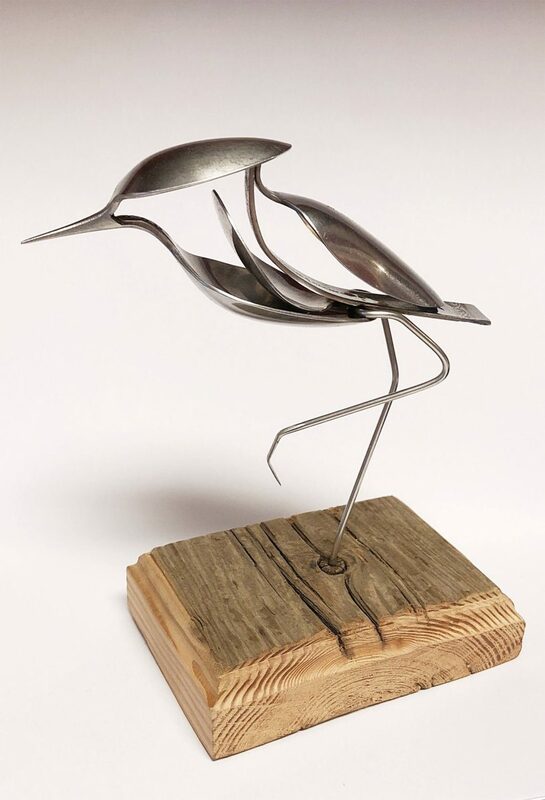 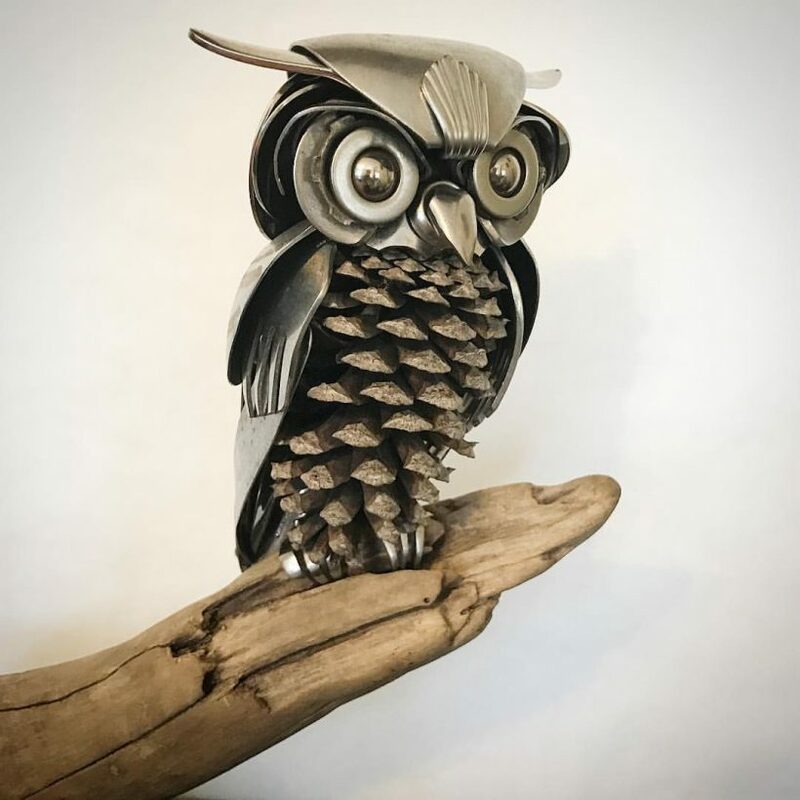 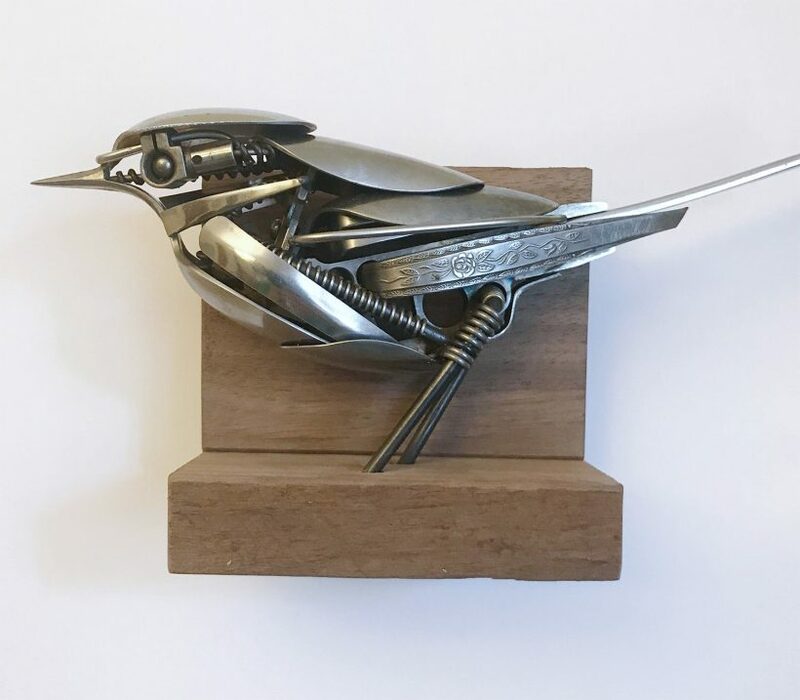 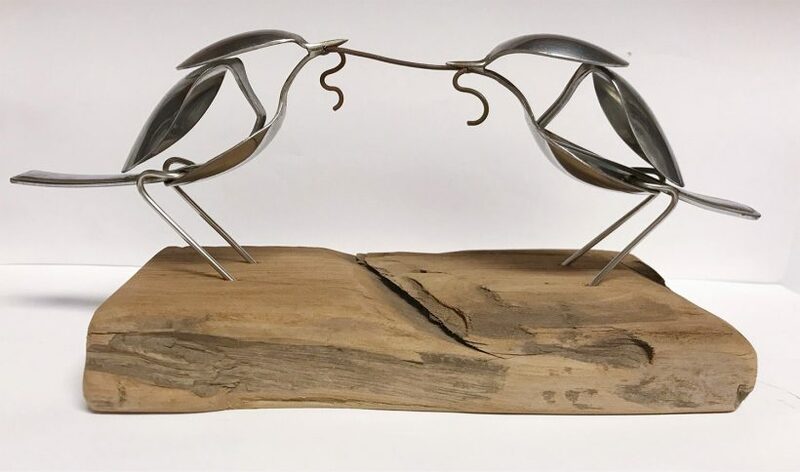 The upcycling artist transforms discarded materials like spoons, forks and metallic wires into birds, marine animal and other wildlife fastened to pieces of driftwood or old lumber. 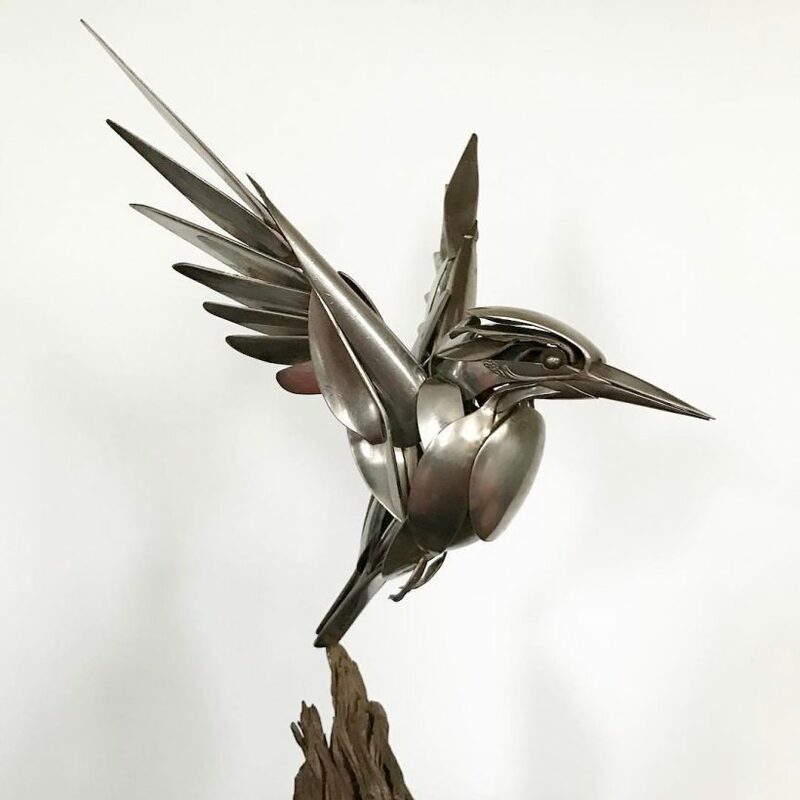 More metallic artworks on his Instagram.